BMW will increasingly adapt its cars to run iPhone and Android applications onboard. The change comes as automaker find it nearly impossible to keep pace with integrating consumer devices into their in-car systems because of the three- to five-year development cycles of cars. "Car development by its nature takes much longer than tech development does. In the past, if we wanted to integrate a new connectivity feature, we would have to wait for a software update or often a hardware update, which would take years," a BMW spokesman told Automotive News Europe. "By working with app developers, we can now offer new features at the speed of tech development that is often measured in months if not weeks." 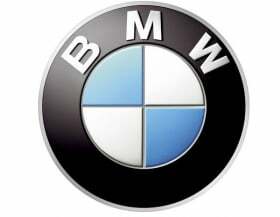 However, BMW says it will still seek to distinguish itself from the competition by offering proprietary infotainment and safety systems that smartphone makers or other carmakers do not offer yet. It recently displayed a prototype of a system that displays images of pedestrians along the side of roads at night that appear in front of the driver on the windshield as part of its head-up display. BMW has also developed a system that uploads and downloads high-definition video content, which can be streamed to the car in real time from a Webcam or a security camera. Both systems could show up in cars within three years, BMW product engineers told ANE. BMW says it also plans to develop systems that better integrate smartphone applications with the car console and are easier to use compared with competitors. "Because of the implications related to quality and driver distraction, we're not throwing open the floodgates but are carefully working with companies to ensure that we can offer apps that are appropriate for use in the car and that our customers have a premium experience when using any BMW-approved app," the BMW spokesman said. Graeme P. Smith, chief engineer for the connected intelligent vehicle division of consultancy and engineering firm Ricardo UK, told ANE that BMW and many other automakers are implementing smartphone applications into their infotainment systems while attempting to offer the best interface and experience. "Across the OEMs, we currently see a much differentiated product," Smith said, "but most would claim pack leadership in terms of ease of use and reducing driver distraction, while still enabling integration of the driver's personal device into the car."